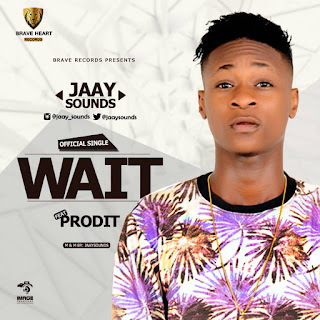 We bring to you the biggest song in LASU as at 2017, 'Wait' by fast rising Bottlez Entertainment singer/producer, Jaay Sounds featuring friend/rapper, Prodit. The 20-year old singer/producer was awarded the ‘Producer Of The Year’ at the LASU CHOICE AWARDS 2016 and 'Most Promising Act' in 2017 . Download & Listen to 'Wait' below.